出典：Roseman, I.J., Antoniou, A.A., Jose, P.E. Appraisal determinants of emotions: constructing a more accurate and comprehensive theory, Cognition and Emotion 10:3, 1996, 241-277. Roseman, I.J., Antoniou, A.A., Jose, P.E. 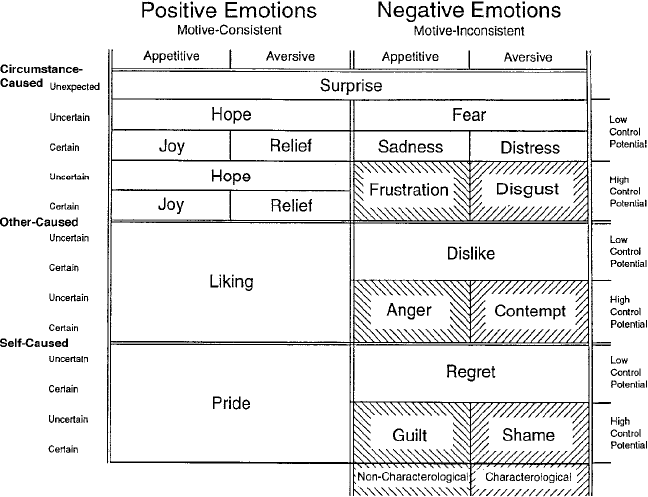 Appraisal determinants of emotions: constructing a more accurate and comprehensive theory, Cognition and Emotion 10:3, 1996, 241-277.